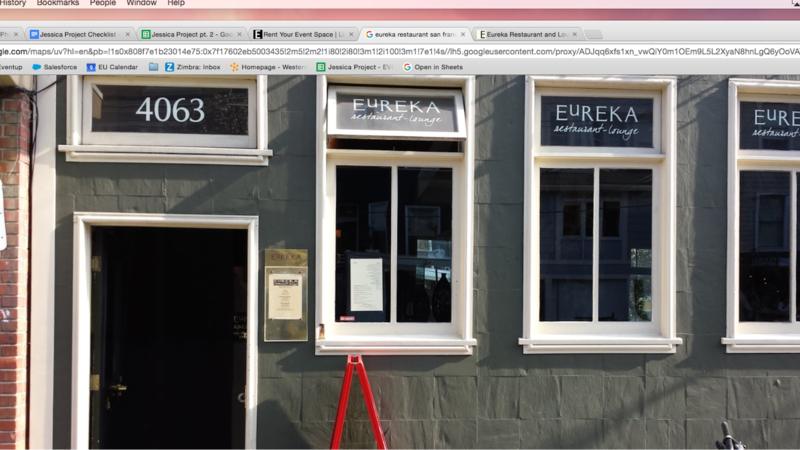 Rent Eureka Restaurant & Lounge | Corporate Events | Wedding Locations, Event Spaces and Party Venues. Tucked away in the heart of the Castro, Eureka Restaurant & Lounge serves up classic culinary favorites with a Southern spin! We have three distinctly different dining rooms each one with its own unique atmosphere.